The Most *Gorgeous* Gold-Toned Lehengas We Spotted On Brides! Think bridal lehengas. Think red! Well, not anymore. From pretty pastels to royal blues and fuchsia pinks, brides are experimenting with colours and we’re absolutely loving it. With bridal lehengas breaking the ‘colour’ stereotype, our Instagram feed sure is a beautiful sight. 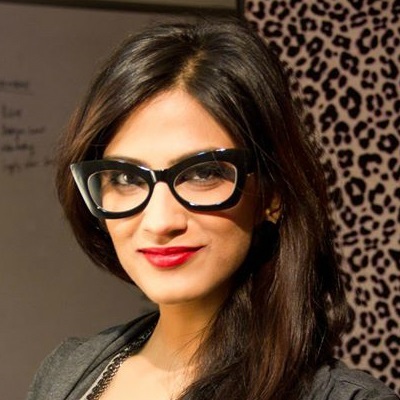 Last year we gave you a roundup of our favorite lehengas that were not red. And today, it’s all about going gold! 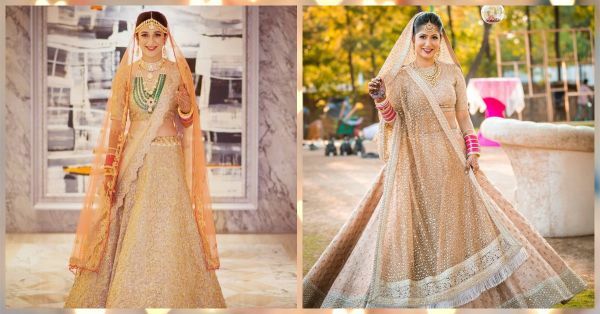 Here are 7 of the most gorgeous gold-toned lehengas we spotted on real brides. Go ahead, get mesmerized! A Sabyasachi bride, this all gold lehenga with a tons of flare and a stylish belt is bridal goals at its best. Minimal jewellery and subtle makeup make for a stunning look. The beautiful bride broke the all-gold code by accessorizing her stunning lehenga with a layered green necklace, that makes her bridal look stand out. Such an ethereal combination! Dressed in a Shantanu and Nikhil lehenga, the bride sure makes for a gorgeous picture. A gold layered lehenga with a white blouse and attached dupatta is such a fabulous idea! A dark beige lehenga with dull gold zardozi work, this Sabyasachi bride is a perfect example of vintage done right. Elegant and oh-so-royal. Hello sunshine! Add a bit of yellow to your gold lehenga for a fun and vibrant look at a day shaadi. That hint of blue is an added advantage! Yet another Sabyasachi bride who made us fall in love with her all gold look. Perfect for a day wedding, those pink choodas complement her gold bridal look so well! Pastel and gold is such a fabulous combination. And this bride is proof! Just look at her sitting pretty in her champagne-gold lehenga with a pastel green blouse. Perfection!